What is Mark Calaway’s stage name? 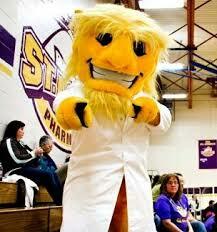 And what is the mascot for this school? Yup, that buff, scary dude went to a small, private, Methodist school. That’s surprising. 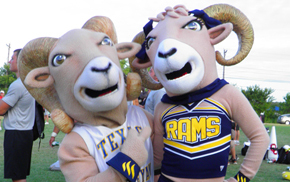 Texas Wesleyan was founded in 1890 to be a female-only addition to Southern Methodist University, and was named Texas Women’s College. However, enrollment decreased during the Great Depression due to women having more household responsibilities and less time for academia. 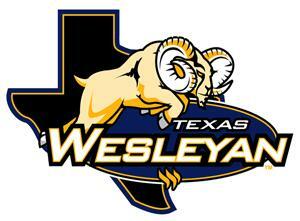 This decline forced Texas Women’s to merge with Texas Wesleyan Academy, becoming today’s Texas Wesleyan University. Today, the school is home to 3500 students, and is known for their huge endowment of $45 million despite being so small. Religious connections, man. 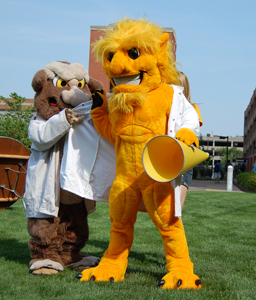 Or maybe it is not the religion at all, but that people fear of the mascot’s malnourishment. 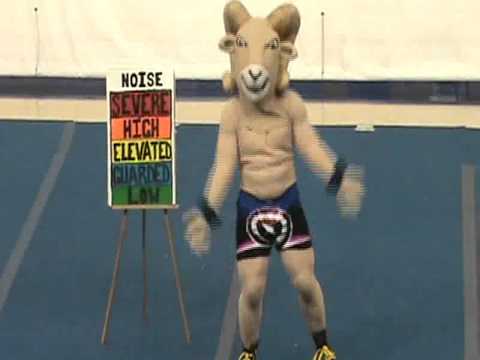 Willie is a scrawny little ram, and most likely fights in the light flyweight class. But somehow he still gets the ladies. Or lady, rather. Wilamae, while lacking in story, has been around a lot in recent years, suggesting that this long term relationship is going strong. She has yet to be in the logo, though. 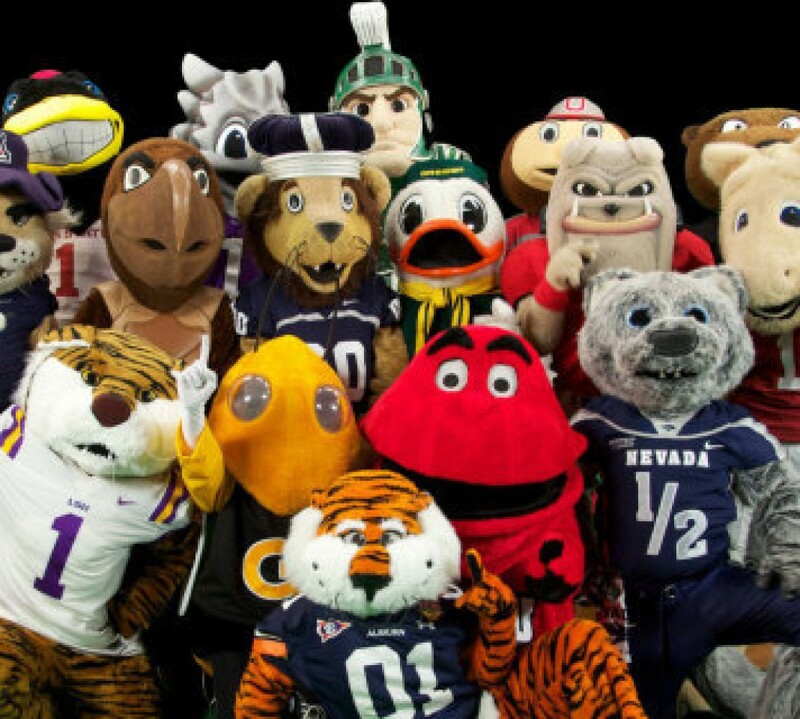 Readers who think they know all of the knowledge about college sports- have you ever heard of NAIA? Evidently, loitering somewhere unofficially between D2 and D3 is this hidden level, where you like the sport, want to get a scholarship for the sport, but are also serious about academia, and in no way plan on being a professional or semi-professional athlete. There are 255 schools currently in this association, and here I shall tell you about one- possibly the best one. Smack it down, reflect it! So case you thought that science geeks don’t take sports seriously, think again. 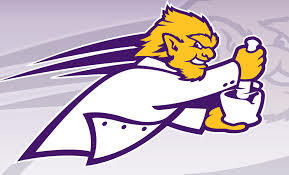 Each year, the Eutectics play a basketball series against the Albany School of Pharmacy and Health Sciences for the Apothecary Cup. Now that’s legit. Just an FYI- he does have a 6-pack.